I hope you all had a lovely weekend? 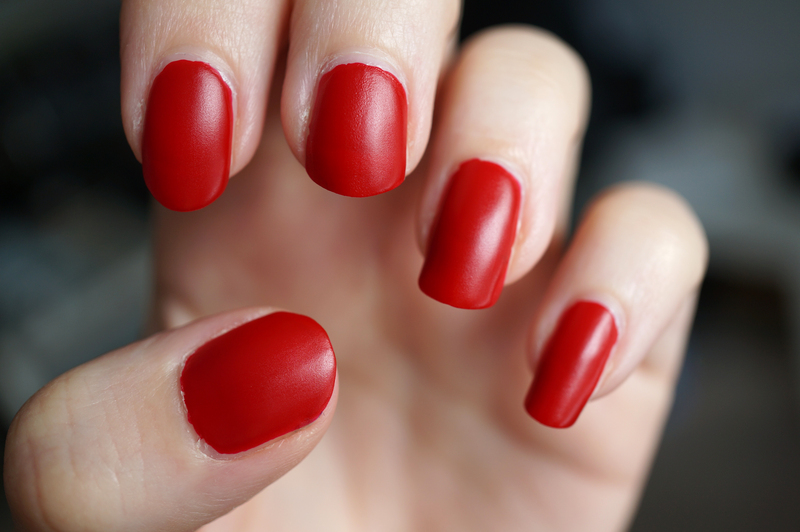 Let’s kick this week off with a nail polish review! 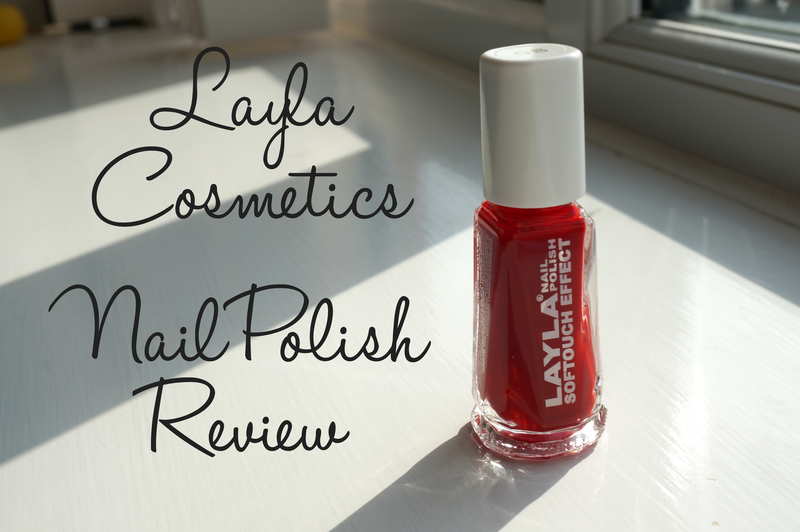 I haven’t written a nail polish review in quite a while so thought this would be a nice change 🙂 Today’s review is of this gorgeous Layla Cosmetics Softouch Nail Polish in 07 Red Passion. Now I’m not gonna lie, I’m obviously not down with the lingo and wasn’t actually sure what ‘softouch’ meant, so I didn’t know really what to expect with this one! Softouch, it turns out is basically a semi-matte finish, and by semi-matte I mean it’s not a complete flat ‘chalky’ matte, it has a slight sheen to it. I hope that makes sense? The bottle is an unusual shape and appeared to be quite generously sized, but it’s actually a pretty standard 10ml. On application the polish appeared glossy and spread well, the formula and consistency were spot on and this polish comes with a fairly large brush so it was easy to apply. 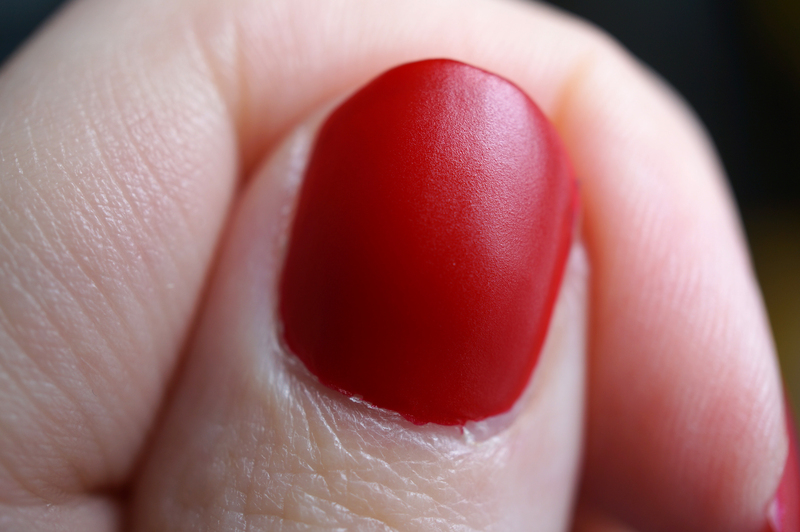 The polish then dried to this lovely semi-matte finish. 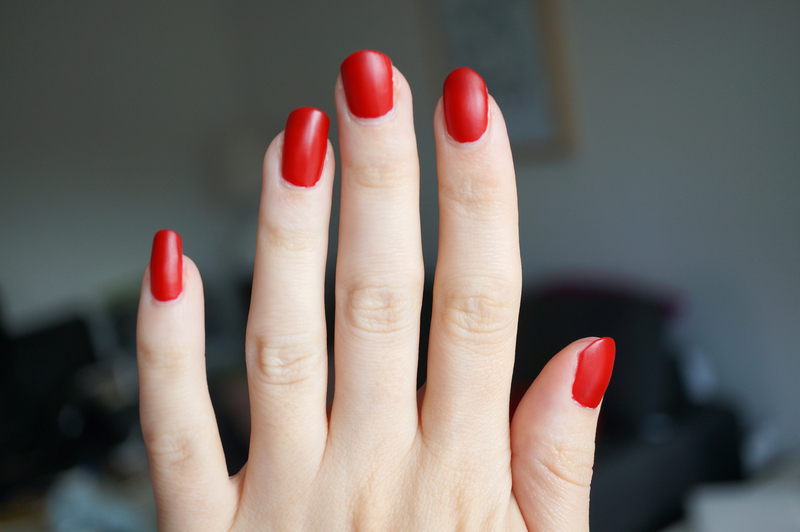 I was really surprised with how fast it dried – there’s nothing worse than flapping your hands around for what feels like hours on end, only to think your nails are dry, and they’re actually not and get marked! This is definitely one of the fastest drying polishes I have used. I used two coats of this polish and I’m very impressed, I was quite happy with two coats but if I had more time I’d have gone for three as you can very slightly see through. So what do you think? I’d love to hear if you’ve tried Layla nail polishes? Previous Post Maxwell Scott Luxury Makeup Bag Giveaway! I’ve not heard of this brand before but this is a super pretty shade and I love the finish! !